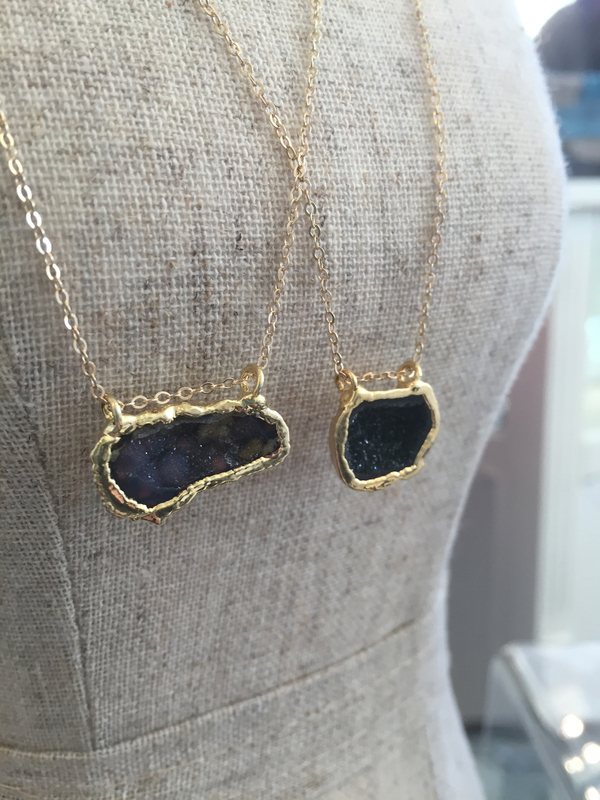 Nan Lee Original – Baby Geodes are here! What did Nan Lee discover on her recent trip to Tuscon? Baby geodes! 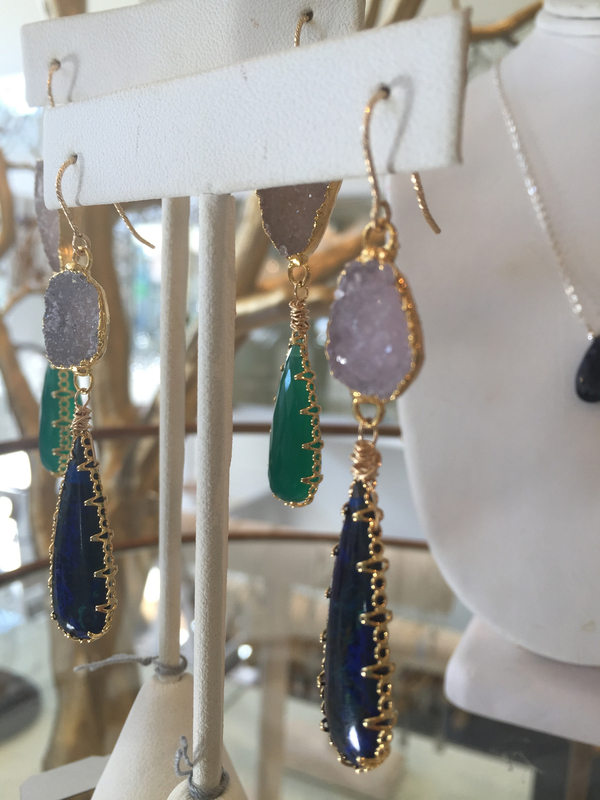 These gorgeous natural crystalline formations are encased in 18k gold and Nan Lee has created lovely pendant and earring designs to show off these baby beauties. Each piece is one-of-a-kind and can be worn with anything from casual to glam. You have to see these in person to fully appreciate their sparkly ever-changing appearance as they catch the light.